Petryszyn (1999). Large [32" tall x 42" wide]. White flowers early season. 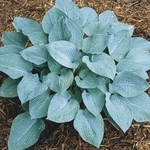 'Blue Hawaii' is an upright vase-shaped blue hosta. The large heart-shaped leaves are well corrugated and slug resistant. 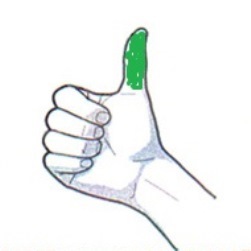 Upon maturity the leaves are slightly cupped and come to a sharp point. Flowers are scented. A hybrid of ('Bengee' x 'Sagae') x 'Tokudama Aureonebulosa'. A strong grower. You can never go wrong with any of Olga's creations. ► ► Kindly note: This plant is no longer in wholesale production. Get one while you can!